There is nothing quite like smelling the fresh aroma of coffee in the morning. The first sip almost seems to give you an immediate boost. Sublime taste mixed with superb aromas is what coffee should be. 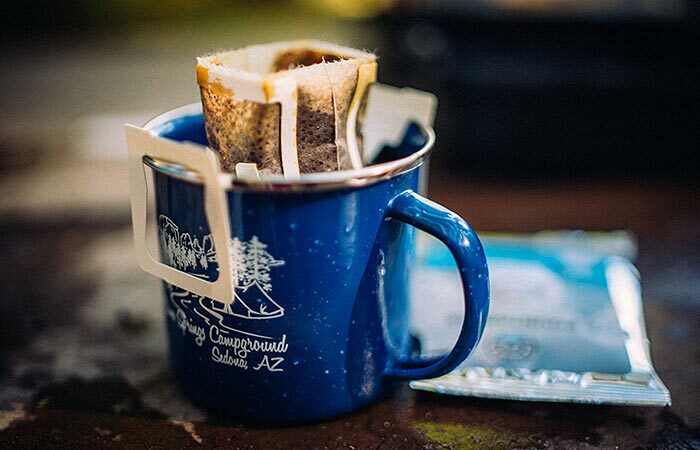 Now, we all know that coffee is necessary on a camping trip, but instant coffee is never as good as properly brewed coffee. A lightweight and easy solution is found in the Libra Coffee Pourtables. Easy to pack and carry with superb flavors and that much needed boost, Libra Pourtables is exactly what you want. It works just like a mini-brewer right in your cup. Pourtables are sold in boxes of 10. This is much easier to carry than any conventional camping coffee brewer. 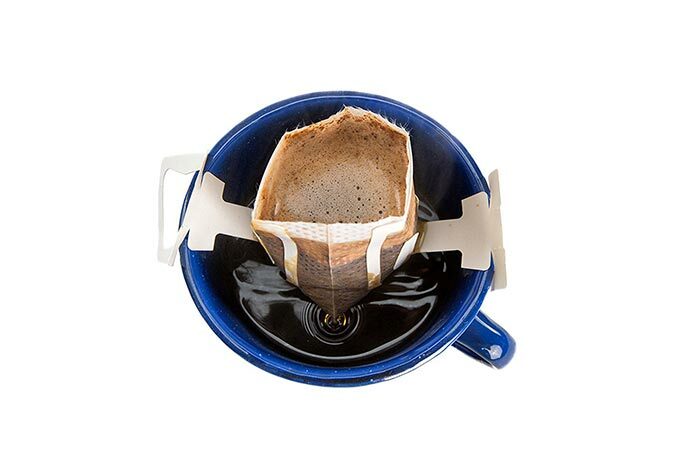 To make yourself a delicious brew, simply place the Pourtable in your cup and add hot water. Simply tear open and attach to the sides of the mug. Besides being really easy, it makes sure that you don’t spill when you pour the water. 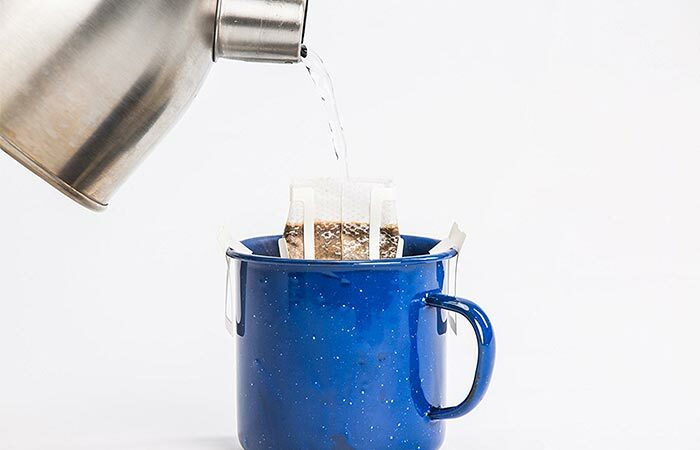 You pour hot water into the Pourtable and it acts as its own mini brewer. The tags on the side securely fasten the entire bag to the sides of your cup to reduce spillage. Then, simply add some water and let those delicious aromas flow. Because of its unique and easy to use design, Pourtables are perfectly suited for anything from a camping trip to a hike. So, if you were looking for that perfect replacement for pretty tasteless instant coffee, Pourtables are for you. A perfect cup of joe, anywhere and anytime. In addition to that, there are few things that can beat a decent cup of coffee.